We all know that in order to run a successful business we need to automate it as much as possible. 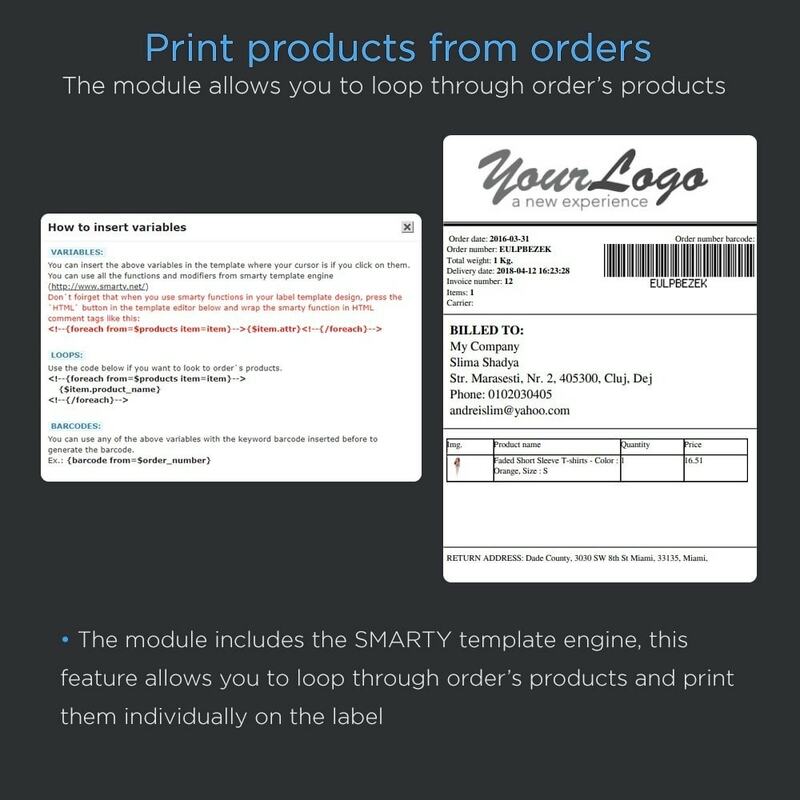 With this module you can easily print the shipping labels for the products you ship and stick them to the packages in just a few seconds. Fully configurable. You have the possibility to configure any page size for your labels, so that it supports not even ordinary printers but also the special label printers. The labels are also fully configurable, you can use a variety of variables like Order date, order number, total weight, delivery date, invoice number, items, carrier, billing address, delivery address, return address, barcodes, etc. The fields can be easily placed in any way you like so you can edit and move them with ease. 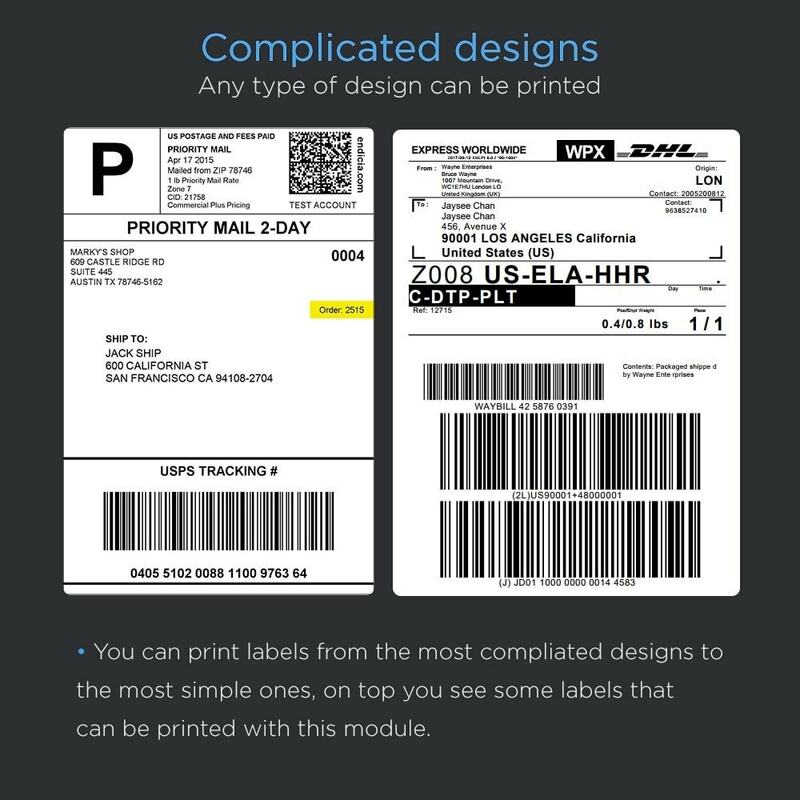 This module is not limited to shipping labels, you can also create envelopes, export certificates, stickers, and any documentation related to your orders. You have the possibility to change the orders statuses after exporting the labels, this way you save precious time. You will be able to select the orders that are ready for shipment and generate the labels for them in just a few seconds. 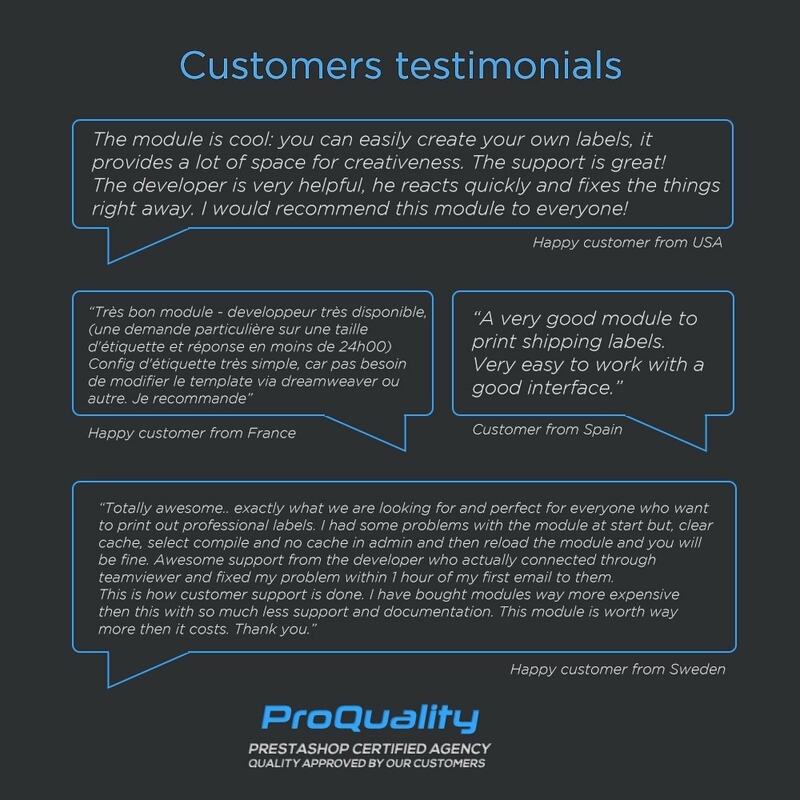 It `s no need to use other third-party software or import-export functionalities. Fully configurable page types. You can use the default page types for the labels or you can define your own by using your custom dimensions. 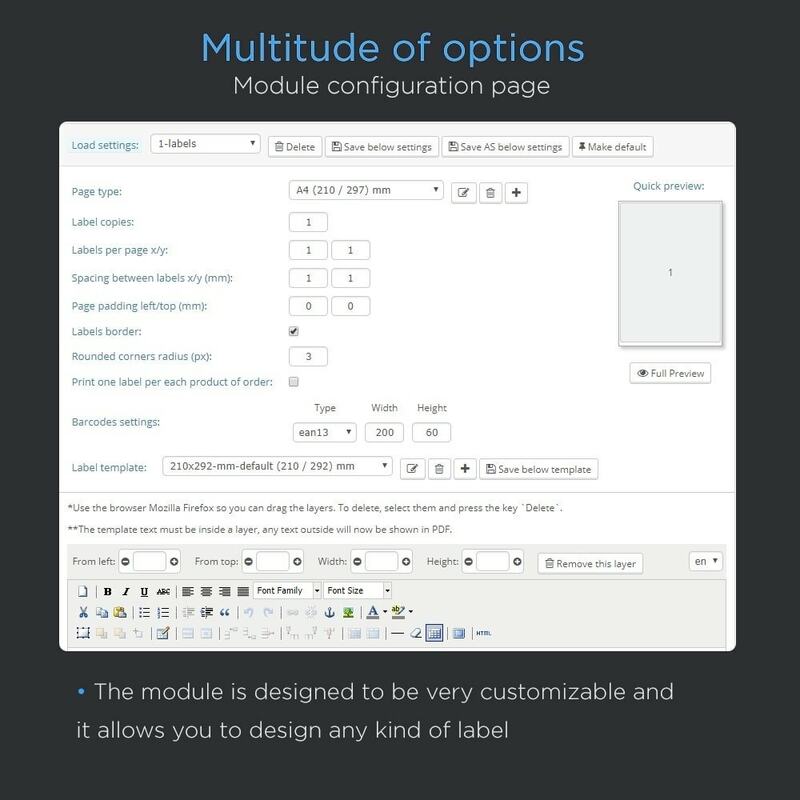 Fully configurable label templates. You can add a lot of variables, barcodes and images to your labels, this enables you to customize virtually any label template possible. Possibility to show/hide labels so you don`t have to waste paper. You have the possibility to switch the labels on or off before printing them, you can easily select which labels are already peeled off from the sheet before printing so you can reuse your label sheets until they run out. Easy configuration. 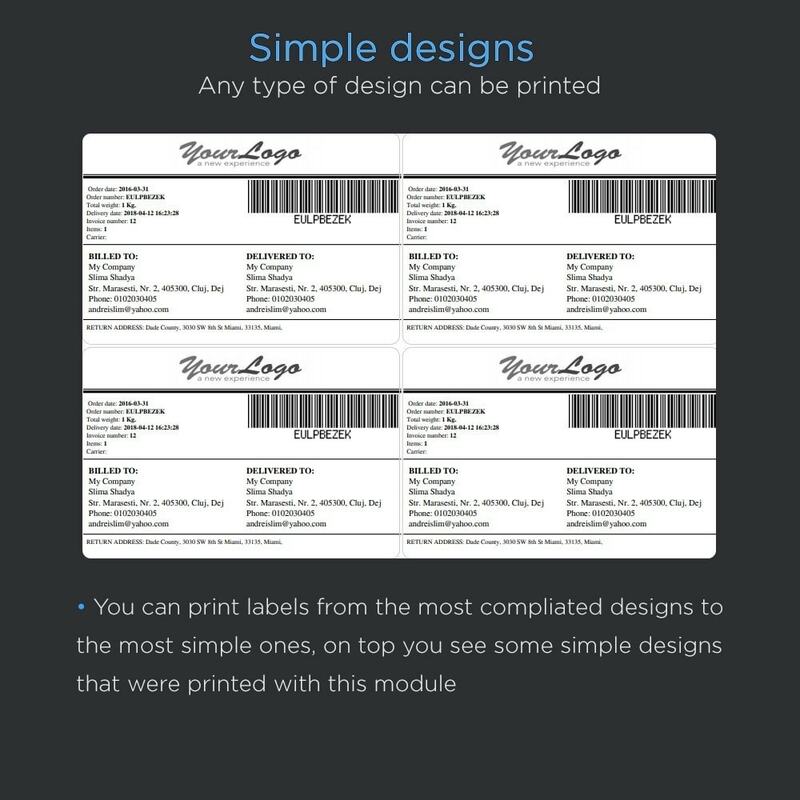 You can instant preview the label sheet and the label template before printing. Barcodes. You can generate any barcode you want based on orders variables or plain text. Images. Your labels can support the insertion of any image type. Absolute and relative positioning. Any label template consists in divs with absolute position, you can easily move and resize them in real time so the label design suits your needs. Print dialog in orders menu. 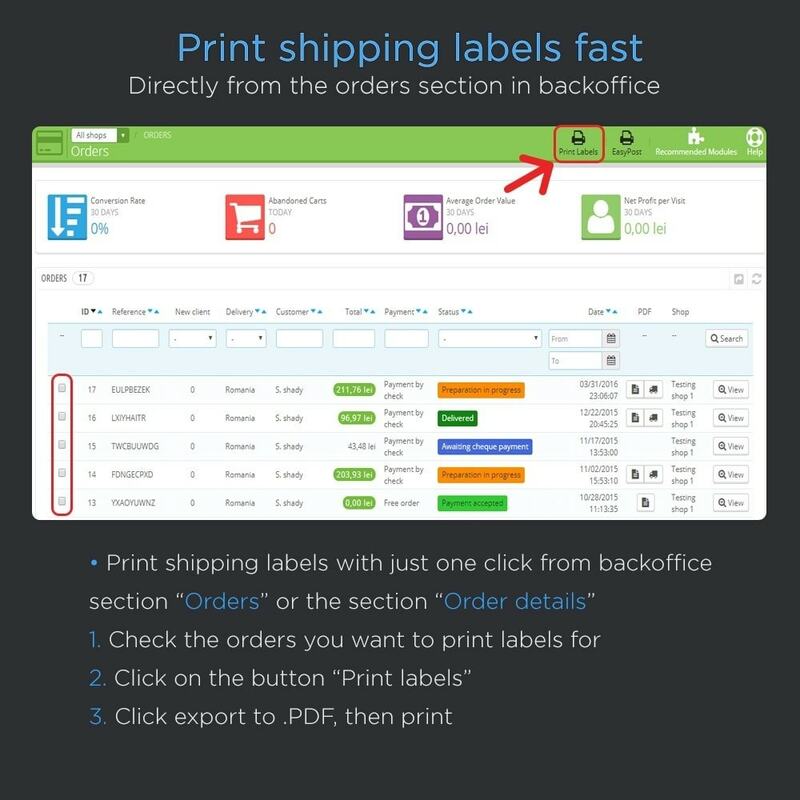 A popup window appears in the orders menu when you click on “Print Shipping Labels” button. 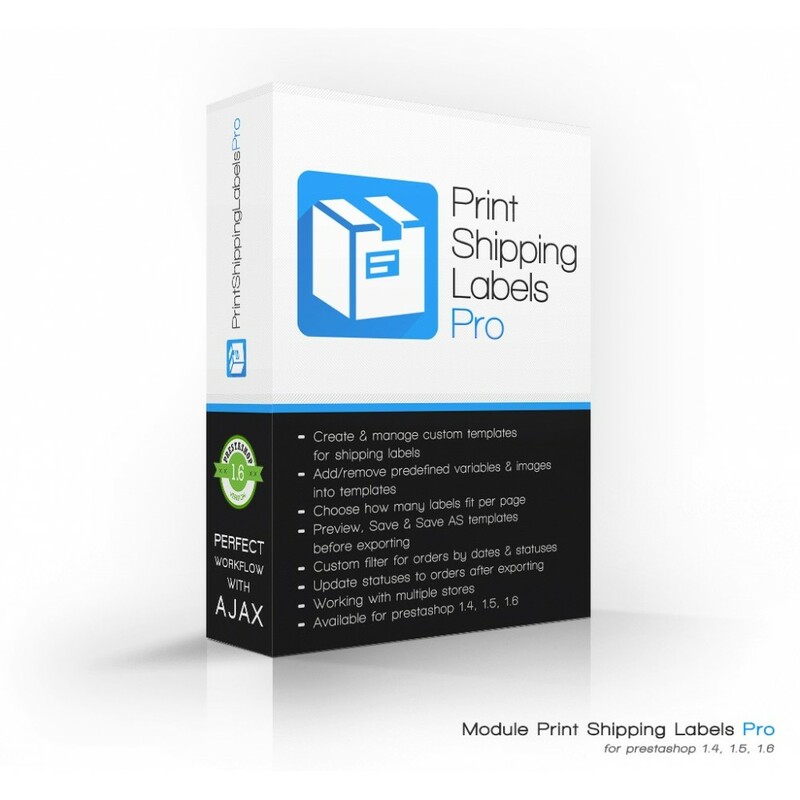 From there you can quickly preview and print the labels. Custom filter for orders by dates & statuses. Update statuses to orders after exporting.